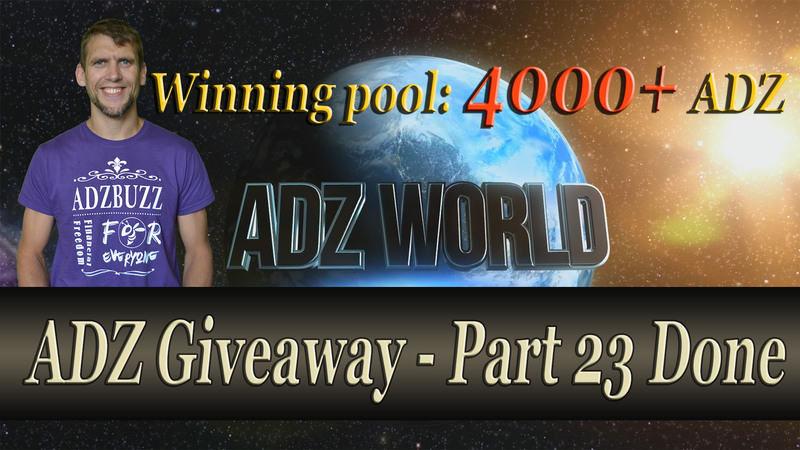 The next video in ADZ World's ADZ Airdrop: "ADZ Giveaway 23 Live" Like and/or comment the video in YouTube and earn up to 25 ADZ. After liking and commenting, don't forget to comment this post that you liked and/or commented as it is required to earn :) Go to this link and share that post to your social media and earn another 5 to 10 ADZ. You have to share the link of your share to this post to be qualified for the earnings. Clive williamson on September 2 Hey thanks bro , this is my adz wallet address.9HXxnbUkM5Ha9KddixezPvL3bNLP5JANk9,, thanks again .